From writing letters to going swimming, telling stories to finding lost buttons, Frog and Toad are always there for each other—just as best friends should be. 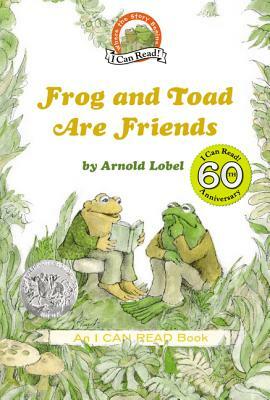 Frog and Toad Are Friends is a Level Two I Can Read book, geared for kids who read on their own but still need a little help. This special paper-over-board commemorative edition celebrates the 60th anniversary of I Can Read books, includes the complete original stories, and features a foil cover, an anniversary burst, and eight pages of bonus material on the history of I Can Read! This beautiful edition is perfect for gift-giving.